Good morning! So how about that Three Company release?! Were you as amazed by the awesome cards from the showcase team as I was? I'm super excited that some of the new Little Miss Muffet stamps are now available in rubber too! Don't miss this week's Paris Inspiration blog hop... There's still time to join in the fun... there are some fabulous prizes to be won... not to mention the fabulous projects to see! This fortnight our challenge theme is Fancy or Lacy. We are looking forward to seeing you go all out on your creations! 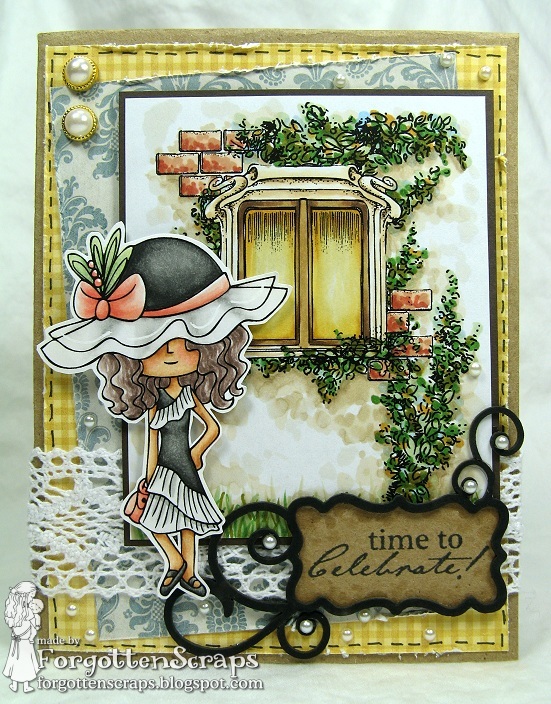 However, if you use a Little Miss Muffet Stamps image then you can enter using the theme Anything Goes. We always love to see your Little Miss Muffet Stamps projects! We hope you enjoyed today's inspiration! We are looking forward to seeing your fabulous creations! 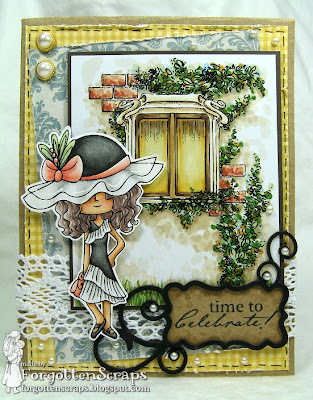 Our challenge rules are on the sidebar, but just briefly:The challenge theme is Fancy or Lacy unless you use a Little Miss Muffet Stamps image in which case you may submit a project using the theme Anything Goes.Please link directly to your blog post and please mention and link to this blog in your post.The winner will receive 2 (or 3*) digital stamps of their choice from the store (*if the winner chooses to participate in our next challenge as our guest, they get to choose a 3rd digital stamp).Enjoy yourself! Wow - the DT did an amazing job! Thanks for the fun challenge! The DT samples are fabulous! Wow, such gorgeous creations from your DT!